Hey Coffeeholics! I know its been a while. I've mentioned before that I'd be pretty busy this March and it has been quite busy! But thank goodness I'm not that busy to share to you guys what keeps me goin' in the morning, which is of course -- COFFEE! Haha I know I'm stating the obvious here but I just thought I'd mention it just in case I've neglected to do so. As a true blue coffeeholic, I'd like to make a disclaimer first. I'm not an endorser of any particular coffee brand. If I rant or rave about anything that has to do with coffee -- than that's just my personal preference at that particular moment. Honestly, I've graduated from being a fan of 3-in-1 type of coffees. It doesn't affect me or "energizes" me as much as brewed coffee does. (Is it possible to develop immunity from instant coffee???) But I can't be choosy. I don't always have access to brewed coffee (sighs!). Desperate times calls for desperate measure. So YES.. I've tried and tasted all those 3-in-1 coffee mix which you can buy at your next door neighbor's sari-sari store! You betcha I did. 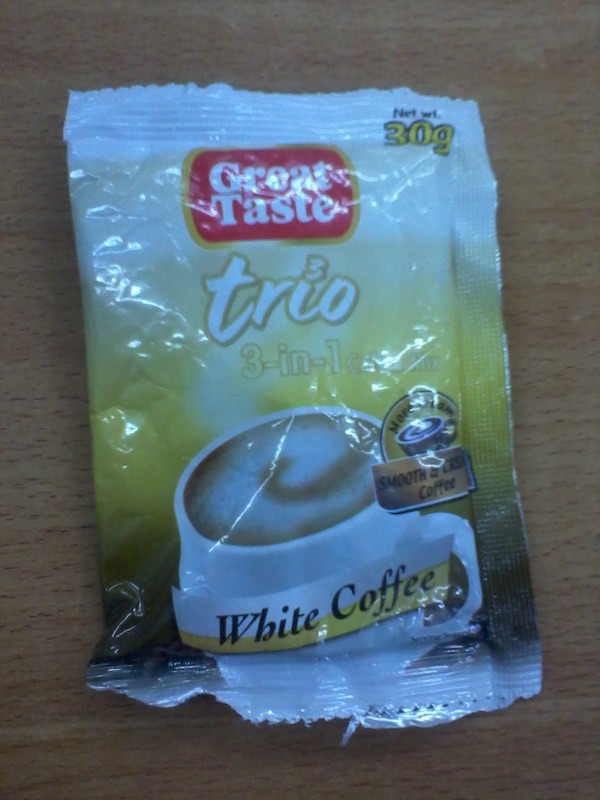 And as for my quest for an instant 3-in-1 coffee that will make my taste buds happy and my mind awake.. well, I FOUND THE ONE! Morning Brew - GREAT TASTE White Coffee! 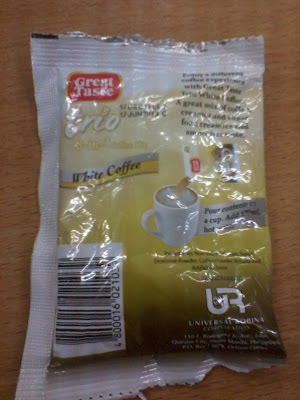 Have you tasted GREAT TASTE White Coffee? If you haven't -- YOU MUST TRY IT!!! Its one of the best tasting instant 3-in-1 coffee out there! Especially if you like your coffee as sweet and creamy as I do. When poured, it froths. Once mixed, you can immediately smell its amazing aroma that really tingles the senses awake. 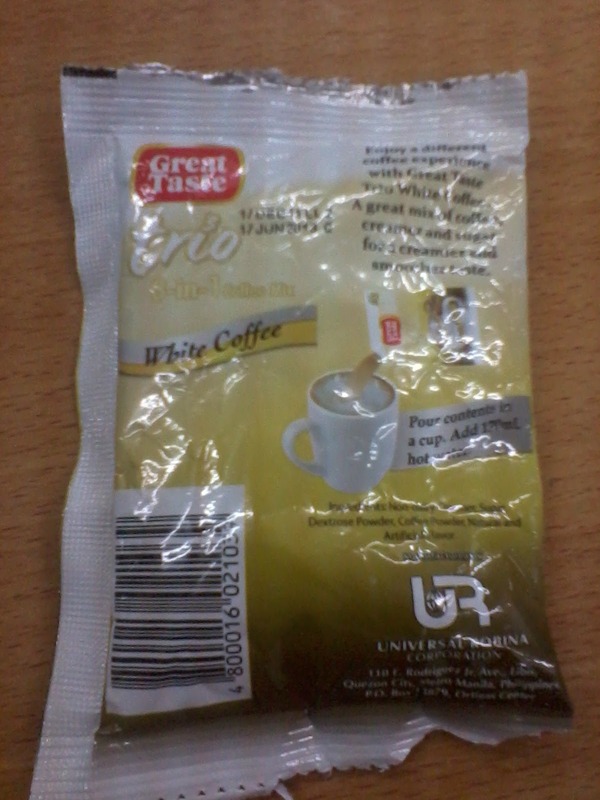 This instant 3-in-1 coffee from Great Taste really makes my day whenever I don't have access to brewed coffee. Best of all, its sooooo affordable! I'm so glad that they make instant coffee taste better now. If only they could make the caffeinne effect as impressive as brewed.. then it would be perfect. Hehe. So coffeeholics, what's your poison favorite instant 3-in-1 coffee mix? Do you have the same taste as mine? Let's compare notes shall we? Share share share!